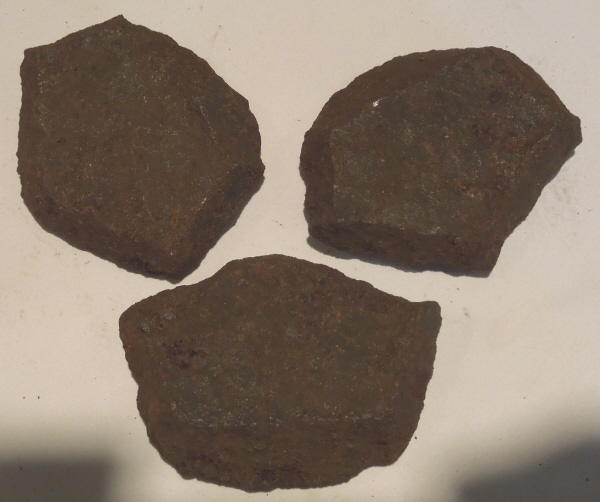 Description:3 diamond shaped frags from a rare 6pdr polygonal cavity shell. These are very hard to find. 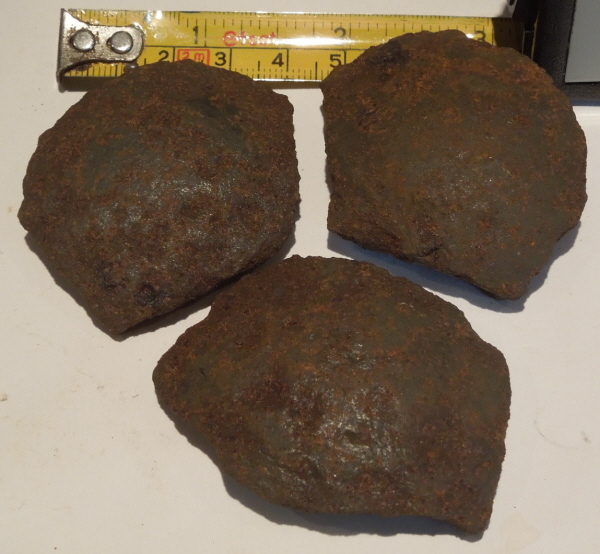 Recovered in the Spanish Fort area, possibly fired from Lumkins Battery which complained of their inadequate 6pdr "pop gun." These have been run through electrolysis but not coated.